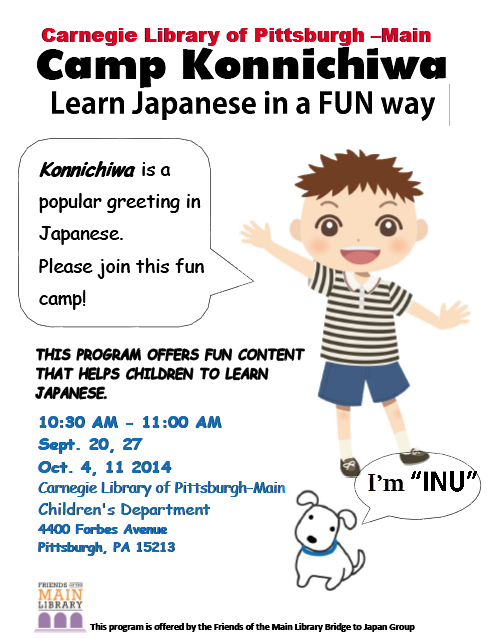 Camp Konnichiwa at the Carnegie Library in Oakland will be held on September 20, 27, October 4, and 11. Children will learn Japanese words and songs at these sessions. Visit the Library website for more details.